You can attach any GoPro camera. The Iris has a Follow Me feature. 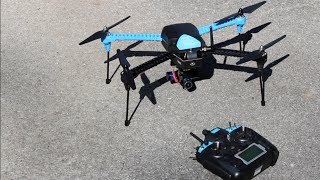 Flight time is only 15 minutes with camera attached. The app for Follow Me and the autopilot functions is only available for Android devices. 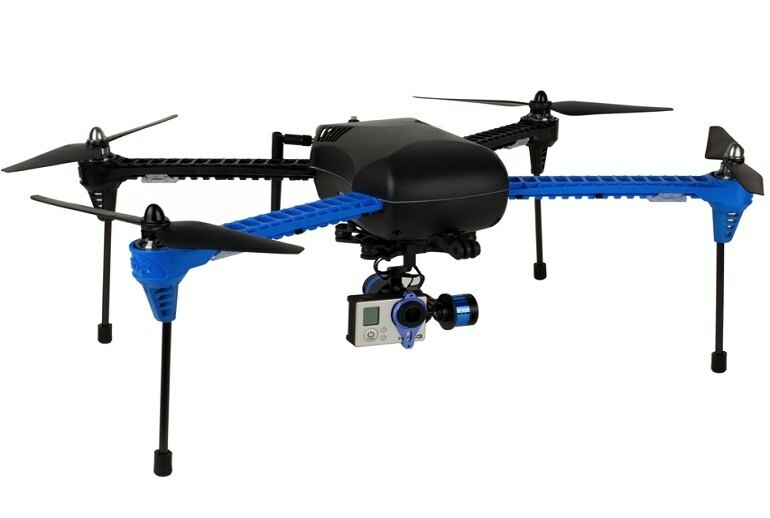 The IRIS+ from 3D Robotics includes a host of features. 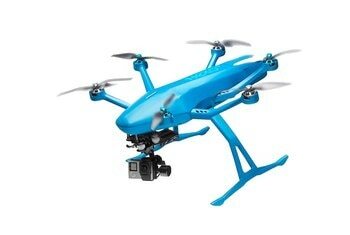 It’s the first drone to include a Follow Me function. 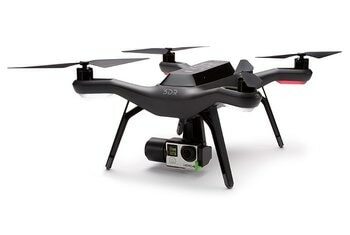 It also boasts autopilot, 3D mapping and even 3D modeling. Using the company’s tablet-based software, you can plan a flight simply by drawing it. 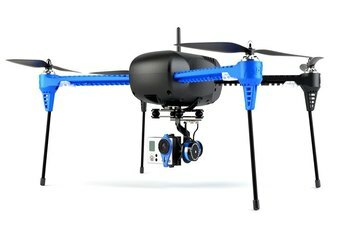 The IRIS+ doesn’t come with a built-in camera, but you can attach a GoPro with the optional two-axis gimbal. 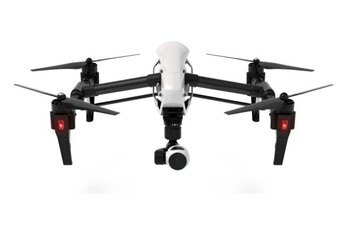 With the drone’s remote, you can aim the camera and see important information about your flight via the LCD screen. 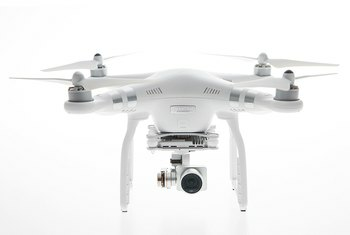 With camera attached, the drone’s flight time is 15 minutes with a range of 0.6 miles. 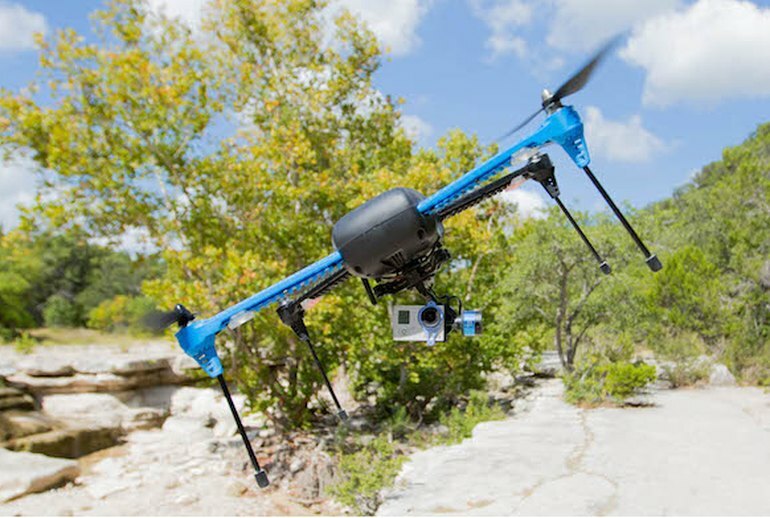 The tablet based software developed for the drone makes flight planning amazingly simple. 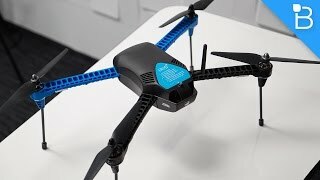 As far as technicalities go, this is definitely one of the first legitimate drones, thanks to its autonomous flight feature. 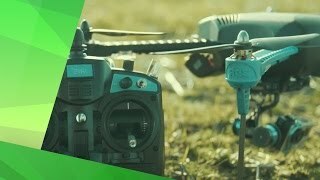 The 3DR IRIS+ RC drone is a great drone because of its fast speed and long range. I had a couple of issues with the battery design. First, the power cables just barely fit in the compartment along with it, and make the rear door difficult to close. What made the Iris+ stand out for me more was its ability to take really good video thanks to its optional gimbal. The ability to customize and set many different types of settings is what sets the IRIS+ apart, making it the perfect drone for some people. 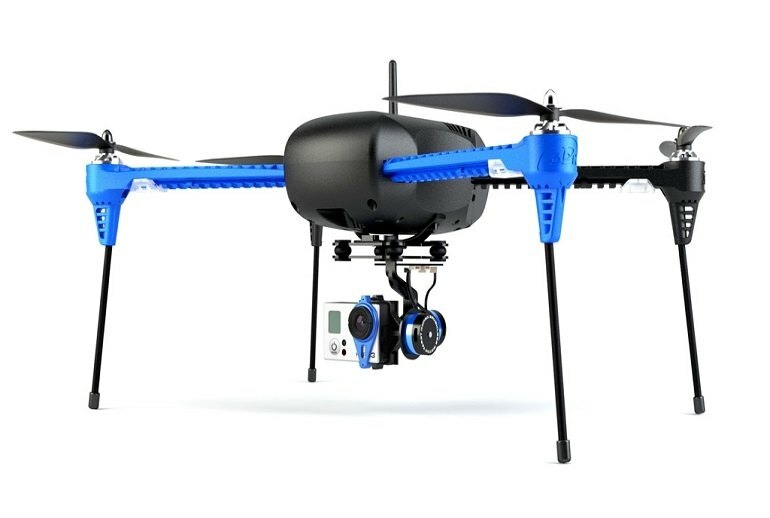 The IRIS+ does surprisingly well in high wind conditions, due to the respectably heavy weight and high performance propeller design. 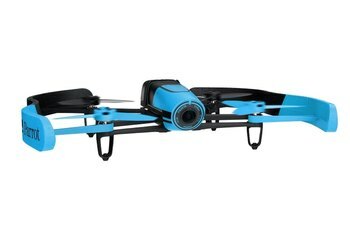 With a quick click of a button on a Nexus tablet, the drone locked into its Follow Me setting. As we moved down a walkway, the drone stayed near us at all times, which is ideal for filming a boating trip, bounding over moguls on a mountain skiing trip, or just rollerblading on a state park path. And, addressing a major complaint with the original Iris, the craft now features screw-on, self-tightening propellers for a more reliable design.